The subject, size, colour, etc. are amongst the things I discuss with clients before drawing a series of coloured scale drawings. 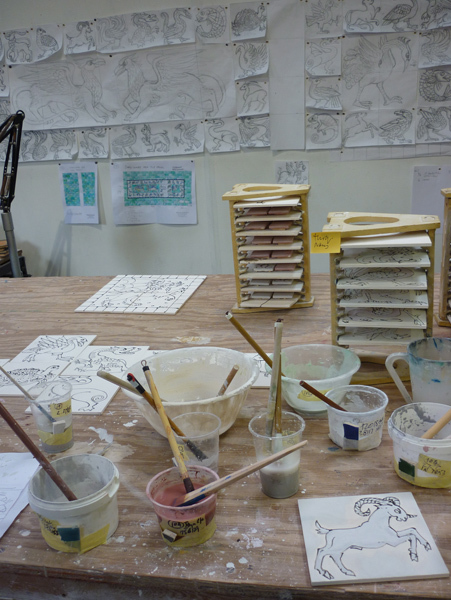 When the design is agreed I can then draw up a full sized drawing to work from.- Lay out the tiles and go from there! Scale and full sized drawings on the wall. On the bench the cuerda seca outlines have been drawn onto tiles. 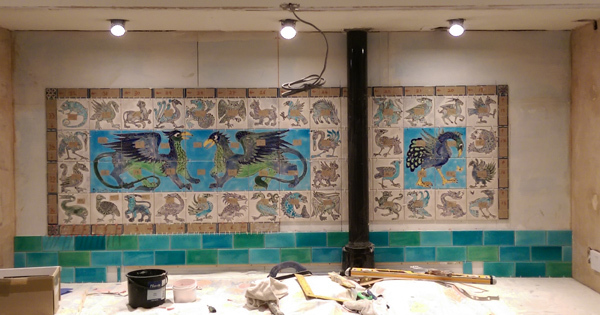 In the foreground glazes being applied to the wax outlines, with behind, the tile cranks packed with glazed border and decorated tiles waiting for firing. Checking background colours against the partly finished panel. Plain background tiles in a tile crank ready for firing . Mixing the different fired colours so that they blend well. Turquoises are a nightmare to produce!. 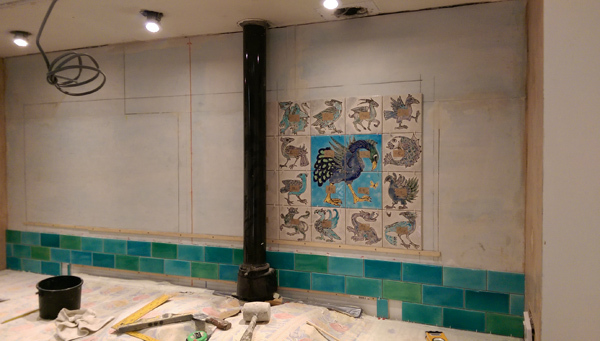 Aga alcove tile areas marked out by tiler Paul Bull and first parts of layout going up. Major part of decorated tile panel now up. 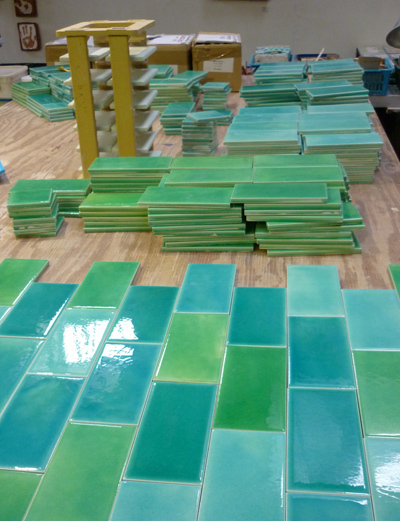 Numbered specially cut + glazed border tiles going in. Tiler’s work complete. A complex layout with 3 different tile sizes. 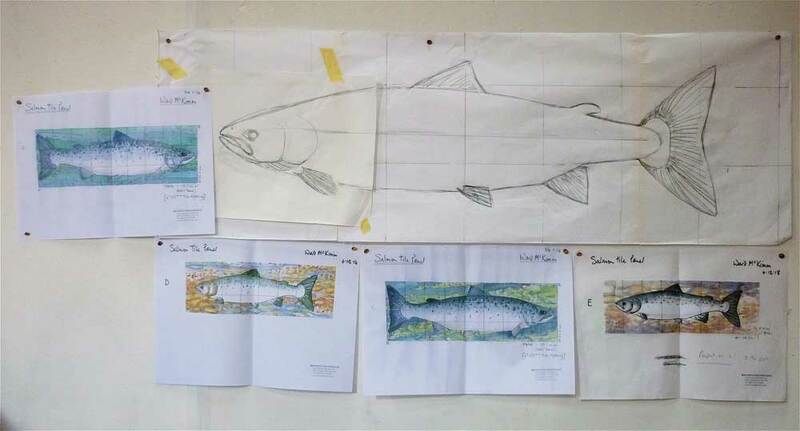 Salmon tile panel – coloured scale drawings and full sized working drawing on the studio wall. Salmon tile panel. Glazes are painted on between the wax outlines. 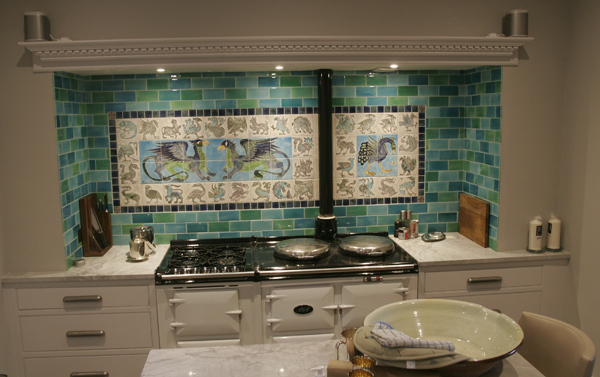 Salmon tile panel . 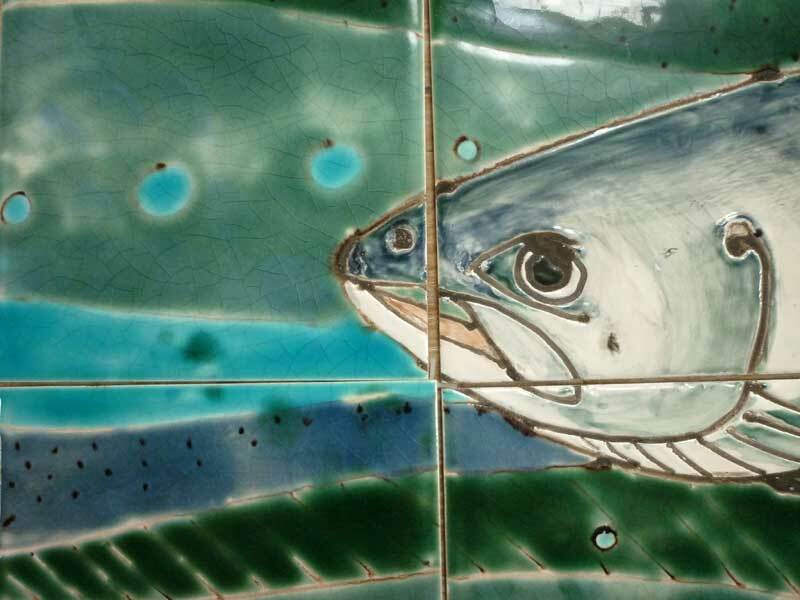 Detail of the head of the salmon after firing in the kiln. 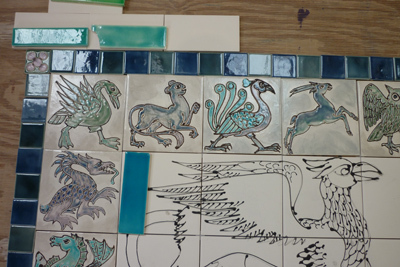 Multiple layers of different glazes are used to create the finished panel. After framing. 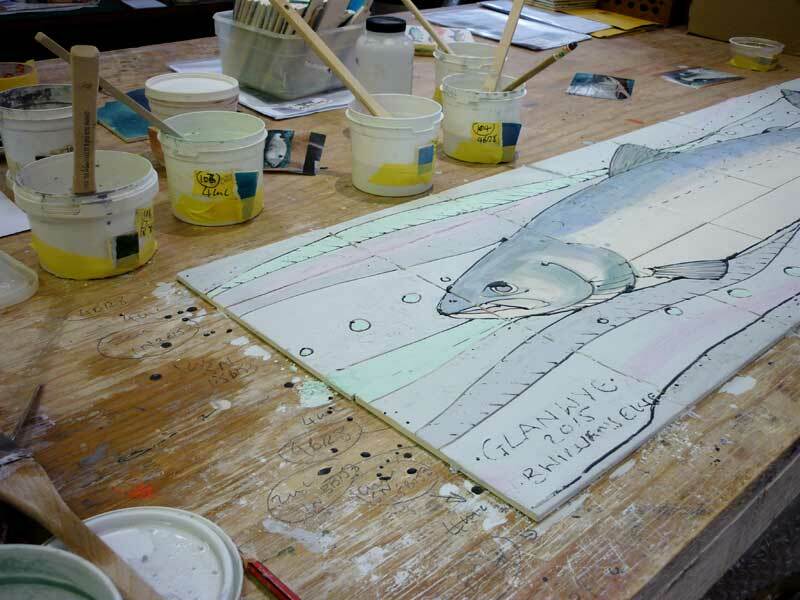 The finished salmon tile panel 4 feet long [+ frame]..